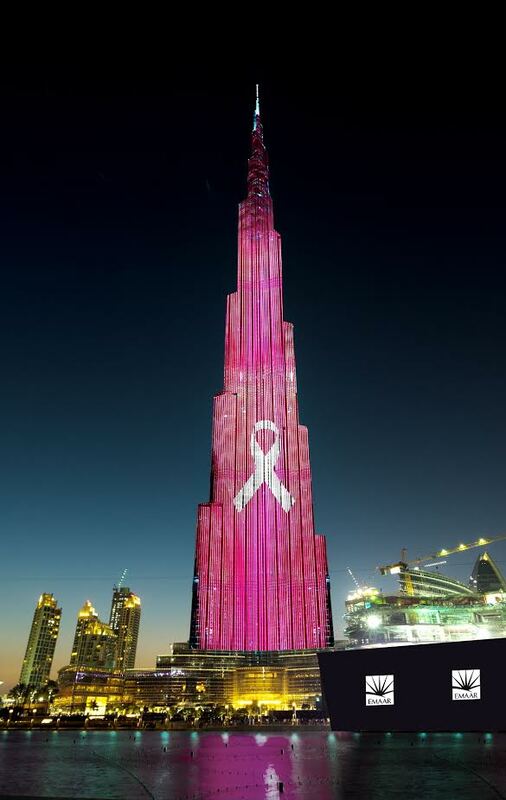 In addition to the pink glow – which will glisten above Dubai’s skyline – themed chocolates will be distributed at The Café located at At the Top, Burj Khalifa; and for every item sold in the At the Top, Burj Khalifa retail stores throughout October, AED 1 will be endorsed to Al Jalila Foundation. Al Jalila Foundation, founded by His Highness Sheikh Mohammed Bin Rashid Al Maktoum, UAE Vice President & Prime Minister and Ruler of Dubai, is dedicated to transforming lives through early detection of breast cancer, facilitating medical treatment and funding locally-based research into the epidemiology of breast cancer in the UAE. The breast cancer awareness month is observed to encourage women to undertake regular checks, as early detection has shown to increase treatment success rates, as well as raise funds to find a cure to the disease which affects women around the world. Time: At the Top, Burj Khalifa’s observation decks are open daily from 8:30am until midnight.